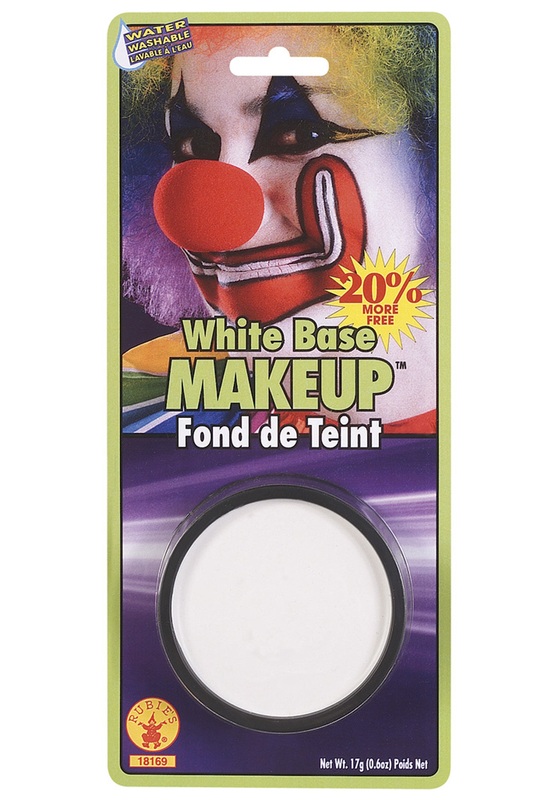 Get the perfect base color to be a clown, ghost, skeleton, mime, or creepy ghoul. Never underestimate the power of a good base for makeup! White is perfect at priming the palette (your skin) for the next layer. Whether you are going with a romantic Victorian look, bloody zombie, or decrepit factory worker, a good base will help. For the perfect washed out look add a White Base Makeup. The White Base Makeup is easy to apply either with your fingers, a brush, sponges, or other applicators. When the night is over it is easy to wash off and clean up. In addition, this makeup comes in a rainbow of colors. Every look is attainable with a good base. Remember to add a smile when applying your new look!